In Copenhagen Suborbital’s marine department we have come in a somewhat unfortunate situation. We suffered an engine breakdown on one of our ships. 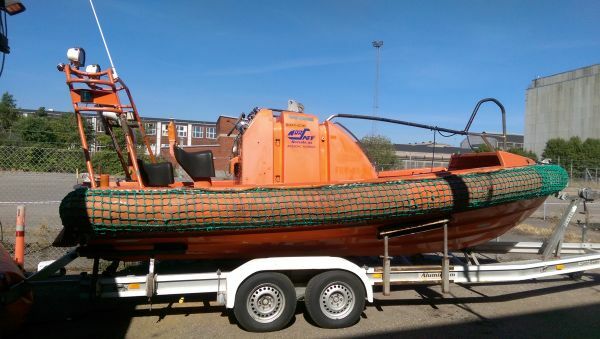 You may remember that last year we received a RIB boat from our friends in the Danish Space Challenge. A Norsafe Mako 755 with water jet, powered by a Yanmar 4LHA-DTP diesel engine. It’s a lovely boat that fits nicely into our fleet. Since we started sending rockets up from the Baltic, we have been in shortage of fast-moving boats that can be used to retrieve rockets, move people between ships and advise foreign ships on their way into the area. With the help of good friends, every time we have managed to lend extremely suitable boats. However, it’s best to have your own RIB boat, so we are sure that it is available when we need it. We got the boat in good time before the Nexø II launch, so we had time to get to know it before the trip to Bornholm. We got some good trips on Øresund. But unfortunately, it did not join the launch on Bornholm. On one of the trips something went very wrong …. While we sailed at a good speed off Lynetten, the alarm began to sound. We immediately decreased the speed to investigate why. There were no lights on the dashboard indicating what the fault was (we later found out that the bulb in the oil lamp had burst) and there was nothing to see in the boat. It was only when we opened the engine compartment that we found the cause. 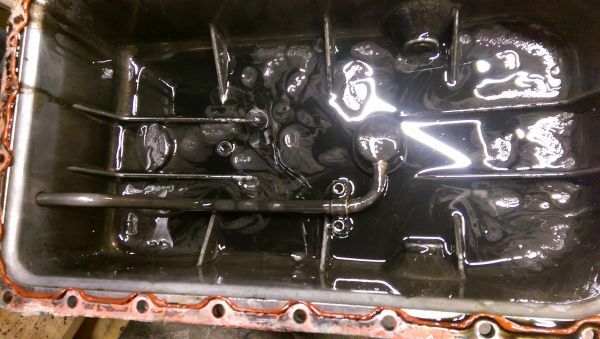 The entire rear end of the engine compartment was lubricated in oil. It was clear that we couldn’t move on without help. We therefore called some of the other CS members who were preparing Sputnik in the harbor at Refshaleøen. They immediately contacted Søredningsselskabet, but they were in the process of dragging a sailboat to Dragør, so they couldn’t help. Other good friends with boats were also called unsuccessfully. It was therefore decided to use Sputnik to get DSC-RIB into harbor. In the meantime, we were drifting towards a stone structure in the DSC-RIB off Lynetteløbet. In fact, we reached the big stones and had to have a man in the water to keep the boat away from the stones. After some time, Sputnik came sailing with her top speed of 4 knots and got us safely to quay. A closer examination of the damage showed that there was a very rusty oil pipe between the oil cooler and the engine at the rear of the engine, where it’s most difficult to reach. The pipe was so rusty that it had ruptured, and it had resulted in a fountain of engine oil all over the engine compartment. We were not aware at that time how bad the engine had been damaged by losing oil. At the time it could be turned by hand. A new pipe and some other pieces were ordered, and after a week’s delivery time fitted, with muzzle and hassle. Oil and filter were changed, and the engine started. It started fine and was allowed to idle for some time before we increased the speed. But at one point it started to lose speed and we turned it off immediately. We took it as a sign that there was something damaged inside the engine. DSC-RIB was therefore set aside until we had better time to look more closely into the problem. In the dark winter evenings, we had the time, so the boat was pulled into the workshop and the Yanmar engine was taken out. The first sign that something was wrong, we saw when the oil was drained. It had a silver-gray shine, indicating that it contained a certain amount of metal particles. In the bottom section of the engine there were larger and smaller metal shavings, especially concentrated at one end. 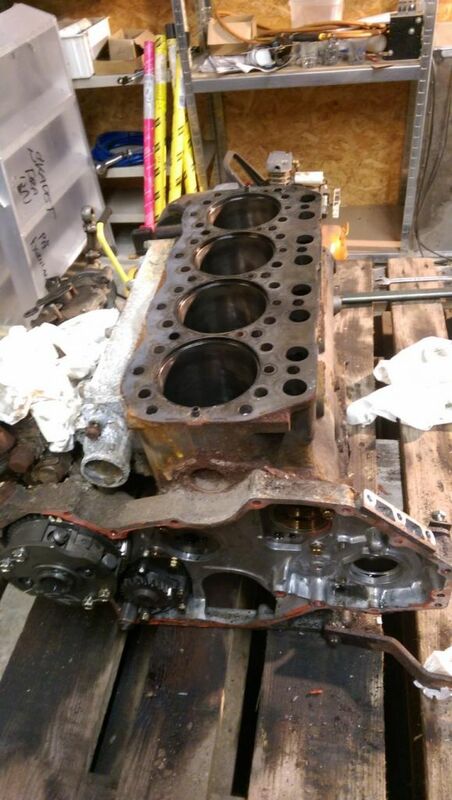 When we got the crankshaft out, one connecting rod bearing turned out to be in a very poor condition. It was worn very thin. The wear on the bearing was so great that it was not only due to the bit we ran the engine without oil, it was something that had happened over a long period of time. The bearing shells, as shown in the picture below, were overlapped when we took them out of the engine. 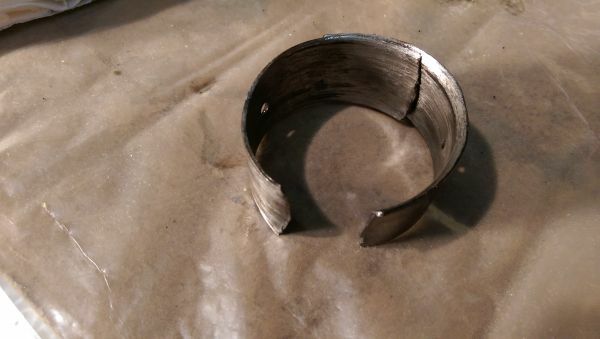 The other bearings, both main bearings and connecting rod bearings, looked pretty fine under the circumstances. One can see that the engine has been used, but no serious wear. The crankshaft itself was also marked by the fact that one bearing was damaged. Two of the four pistons and liners had also been damaged by the lack of oil. They were scratched. All in all, we had a rather broken engine and we had a few choices: Should we renovate the engine or should we find another engine for the DSC-RIB ….? We started by finding out if one could obtain spare parts. We could, but we also found that a Yanmar engine is a rather expensive engine to buy spare parts for, especially the crankshaft is very expensive. 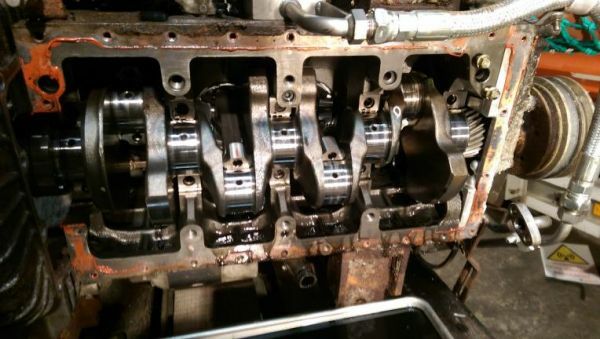 Therefore, if the engine is to be renovated, it will require the crankshaft can be refurbished. The used market for Yanmar engines is very limited. 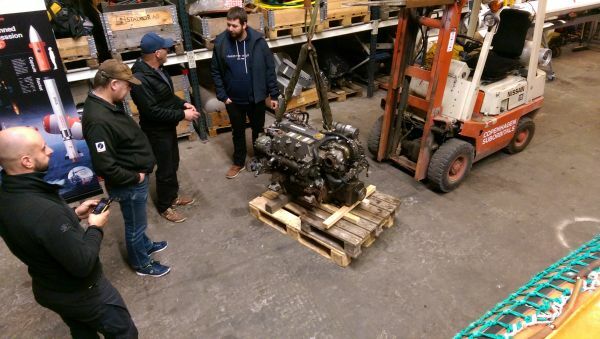 We have only succeeded, after a long search, in finding one used engine of similar size and it was not cheap either. A new equivalent engine is completely out of our budget. 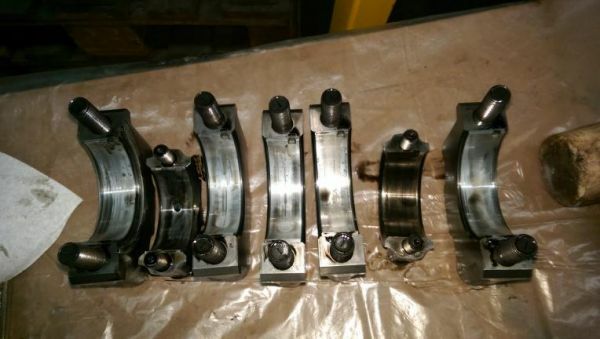 We have sent the crankshaft for further investigation at a cylinder service company. 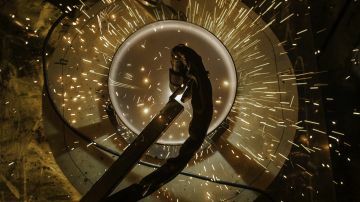 They believe that it can be sanded down and with the largest possible oversize bearings, it can come up and run again. This is where we are now. A crank that needs to be sanded, a lot of spare parts to be bought and a engine to be cleaned and assembled. Depending on how long it takes to get the parts, the DSC-RIB will hopefully come back on the water in a few months …. If all goes well.